ASUS has recently released a few motherboard models that it claims can boost the already fast read and write speeds of USB 3.0 even more. 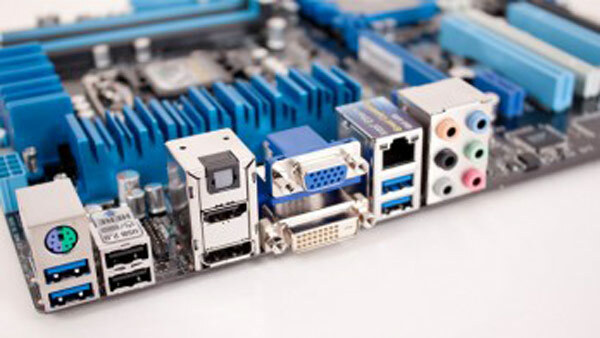 The company states that it has replaced the Bulk-Only Transport (BOT) protocol in its new motherboards to make way for faster transfer rates. This development has been long overdue considering that the BOT protocol has been in existence since the USB interface made its debut — all the way back in 1998. Still using the protocol to handle the high transfer speeds of USB 3.0 today means that USB 3.0’s potential is being hindered. Not satisfied with that knowledge, ASUS replaced BOT with its own protocol, which is called USB Attached SCSI protocol (UASP). According to ASUS, this new protocol, unlike BOT, adeptly handles USB 3.0’s max transfer rate of 4.8 Gbps and is more suited to the new developments in the USB interface. UASP uses command queuing, shortens command latency (the delay between inputting a command and getting the results), and allows files and commands to be transferred in parts and out of order. All these qualities means a speed boost that BOT could never deliver; ASUS claims 70% increase in speed, a rather large figure for current technology but a possibility in the future. The one downside to UASP that may hinder its adoption for some time is that it mandates that the controller on the motherboard and the external closure of the desktop or laptop be UASP-compatible. Having to replace so many parts just to get more speed with the already quick USB 3.0 may not be scenario most users are prepared for. Luckily, ASUS understands this problem and also provides the “Turbo” mode in its new motherboards. The Turbo mode is essentially a streamlined version of the outdated BOT protocol and doesn’t require UASP-compatible anything. It speeds up the BOT protocol by removing the protocol’s trait of waiting for a command to finish before sending out a new one. ASUS’ Turbo mode continuously sends out commands, which theoretically results in less delay and better performance. It’s a decent alternative to UASP but doesn’t offer nearly as much improvement in speed. Given that UASP has concrete evidence of speed boosts in USB 3.0, it shouldn’t take long for companies to start manufacturing controllers and enclosures that can accommodate it. This entry was posted in Articles, ASUS, ASUS Laptop, SuperSpeed USB 3.0, USB 3.0, USB Gadgets and tagged Asus, ASUS Boosts USB Transfer Speed, ASUS USB Attached SCSI protocol (UASP), SCSI Protocol, UASP, UASP Technology, USB Attached SCSI protocol. Bookmark the permalink.